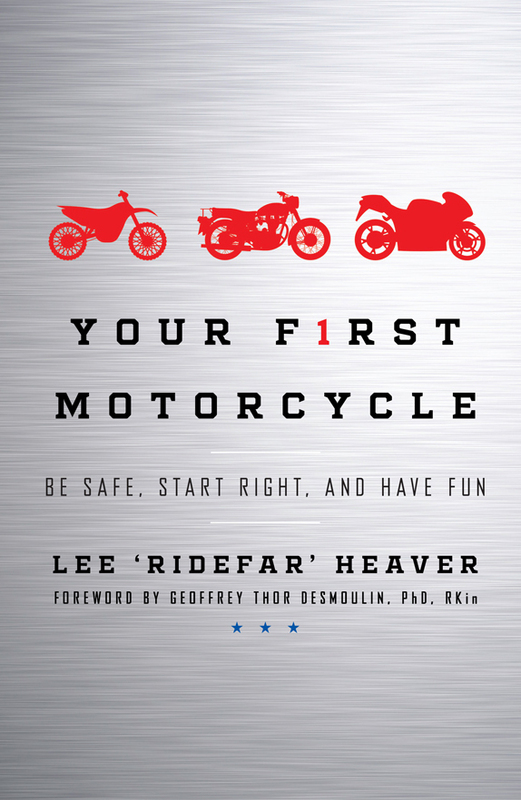 Your First Motorcycle – Be Safe, Start Right, And Have Fun. I remember my maiden motorcycle ride, every last minute of those six hours from my hometown of Vancouver, British Columbia to Kamloops ski resort in the region’s interior. It was summer and I’d never taken my motorcycle past city limits. That day, it was just me, my bike, and my riding buddy. I had nothing to worry about except the road in front of me, keeping the speed reasonable and safe, and taking in the warm, rich smells and sights around me. It was a new and truly immersive way to travel. I was in the landscape, not just riding by it. I became aware of how much of the world there was to explore and experience. When you’re in a car, you always want to take the quickest route, but on a motorcycle, I discovered, you’re intent on finding the more interesting and twisty one. Riding my bike, I felt free, challenged, and aware of how rewarding riding could be. That day, I became hooked and motorcycles became my passion. Growing up, I’d had a general interest in motorcycles. My dad rode one for a bit, but it wasn’t until I started looking at sport bikes that I thought how cool they were. That’s when my interest in motorcycles was cemented. The thing was, as much as I admired the riders who rode them, and wished that I could ride one myself, I was too timid to copy them and try riding. It wasn’t until 2005 that my wish became realized, when the girl I was dating introduced me to a guy who rode motorcycles. His brother owned a motorcycle school, and I signed up, took the course, and bought my first bike for $2,900—a 1989 Honda CB1— and got a full license. The following year I found myself on that unforgettable ride to Kamloops. After Kamloops, I went on ride after ride, always choosing to take the interesting roads, the ones that inevitably led to even more interesting things and people. Many of the people I would go on to meet were also into motorcycle riding. In fact, I made a completely new circle of friends. It felt as if I’d joined this special new club and, in many ways, I had. After all, you had to have a motorcycle and be able to ride it safely to be a part of it. While that sounds exclusive, in meeting this new, like-minded group of people, I felt included; I felt I belonged. Never was this truer than during a group ride I organized from Vancouver down the rolling coast to Oregon, in the Pacific Northwest region of the United States. 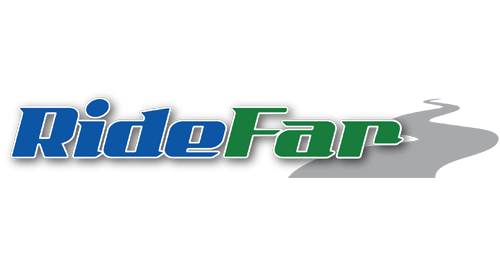 I can spend hours crafting routes to ride, and names for them. This one I called ExplOregon. While we all left Vancouver together, for most of the eight days we were traveling, we’d all take different roads. Connected by Sena, a Bluetooth communication device attached to our helmets, we chatted while we rode. We warned each other about gravel on the road, a big rock, a piece of wood, an animal, an oncoming police car, or if we needed to stop for gas, a snack, or to rest. The chatting didn’t end on the roadway. At night, we’d catch up with each other to go out for dinner, have a few drinks, and exchange more stories. We’d talk about everything; the twisty roads, how our motorcycles rode upon them, if our bikes needed fixing along the way, the random places where we ate lunch, what motorcycles we were going to buy next, the modifications we were going to make to our bikes, and of course, after a while, our family lives. It’s strange. We were twenty-four people of different ages, sexes and personalities, but this ride taught me there’s nothing like sharing a dangerous activity to open you to a rare kind of camaraderie. And that’s it. That’s what’s so great about motorcycle culture. Anyone can be a part it. There’s no typical motorcyclist. I’ve met and connected with people from twenty-five years old up to sixty-three: parents, with younger kids; parents whose kids have grown up and now they’re getting into riding; students, who own a bike to keep down the expense of commuting and parking; the occasional person who just wants to take the motorcycle out on a Sunday for an hour; and individuals who live and breathe motorcycles—like me. Whatever their level of interest, age, or circumstances, motorcycle riders definitely have one big thing in common, other than a love for bikes: No, I don’t mean they are outlaws or dangerous people who make poor life choices, have tattoos, are convicted felons, or are compulsory brawlers—contrary to what public opinion may say. What riders all have in common is a healthy awareness of the very real difficulties and dangers of motorcycle riding. equipped after passing it to jump on a bike and get riding. You’re not — in fact, you couldn’t be further from it. up with a bike you can’t ride is high. That motorcycle, which in the moment seemed like such a good idea, is going to cost you time and cash to sell-on or fix. What you now have is a problem: a motorcycle that’s unrideable, and you haven’t even left the garage. Should you manage to hop on your motorcycle, your next challenge will be with balance. Motorcycles fall over easily, and driving them takes a smoothness, a steadiness that’s not easily learned. A motorcycle will not stop instantly. In a car, you can just hammer on the brakes and let the ABS take care of it, but with a motorcycle, you have to think about stopping ahead of time and applying the brakes slowly and with ease. And you will need to apply those brakes, and often while riding. When you start riding your motorcycle, you’re going to feel you’re flying down the road even though you maybe the slowest vehicle on it. This is your self-preservation talking and encouraging you to keep your speed low, but as soon as you gain confidence, you’ll lose any last sense you have of your speed. You’ll think you’re still within the speed limit. But trust me. You’ll be exceeding it by miles and may now be the most dangerous thing on the road. The police and motorcyclists might see you tearing along, but other vehicles on the road definitely won’t, and that’s another issue. As a motorcyclist, you’re one very exposed rider in what is a car and truck world. You could have the loudest motorcycle exhaust pipes and be wearing the brightest of colors, but if you ride around thinking everyone can see you, at best you’re going to be disappointed by car and truck drivers. At worst, everything you take for granted could be destroyed if you collide with one. By now, I hope it’s dawning on you that you can’t just climb on a motorcycle and figure it out. That would be akin to learning how to drive in a Lamborghini. Even the cheapest motorcycles perform like expensive sports cars. Trust me: you are not prepared for that kind of power and performance. Somebody has to be there, whether it’s your Uncle Bob, or an actual professional instructor, because there is too much for you to learn and master on your own. Wanting to learn things the right way, I went the professional instructor route and in 2014 gave up my desk job as a financial planner to become one myself. 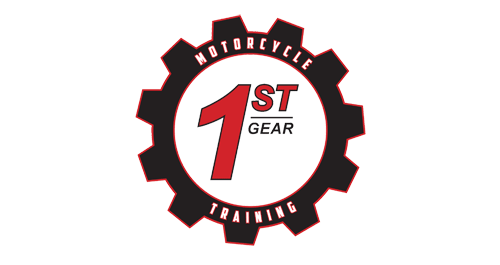 Motorcycling being the tight knit community that it is, naturally I stayed in touch with the guy who first introduced me to riding and later partnered with him to open 1st Gear Motorcycle School in Vancouver BC Canada. Now I get to be outside most of the time, in all types of weather, sharing my enthusiasm and love for motorcycle riding with people just as enthusiastic to learn how to ride. Over the twelve years I’ve been riding and teaching others to ride, I’ve learned that when you’re on a motorcycle, it’s always a balancing act between enjoying it and being awake to the bad things that can happen to you or others when you’re on it. Helping you navigate that balance is what this book is all about. In the chapters to come, I’m going to show you the best, safest, and most cost-effective ways to get into motorcycle riding. It’s my greatest wish that by reading this book, you won’t have to crash your way to becoming a good motorcyclist. Be Safe, Start Right, Have Fun.